CERTIFICATES:REACH,CP65 , ISO 9001,14001 and 18001ETC. 1. How to place customized order in our company? Share with us what kind of items do you like ,then we can do it as you need.And we can put you logo in it if you need. Our design team can design new fashion handmade item for you ,and also can put your logo in your items. Send us your picture or samples ,then we can make it as your need. Welcome to place customized order in our company. 2)LeadÂ &Â NickelÂ and Cadmium free. 8)A lot of customer are from 200 countries all over the world. 9)We support wholesale,retail,drop shopping and so on. 1)Our fashion jewelry safety and healthy. whenÂ thereÂ isÂ aÂ skinÂ allergy, please stopÂ wearingÂ jewelryÂ immediately. 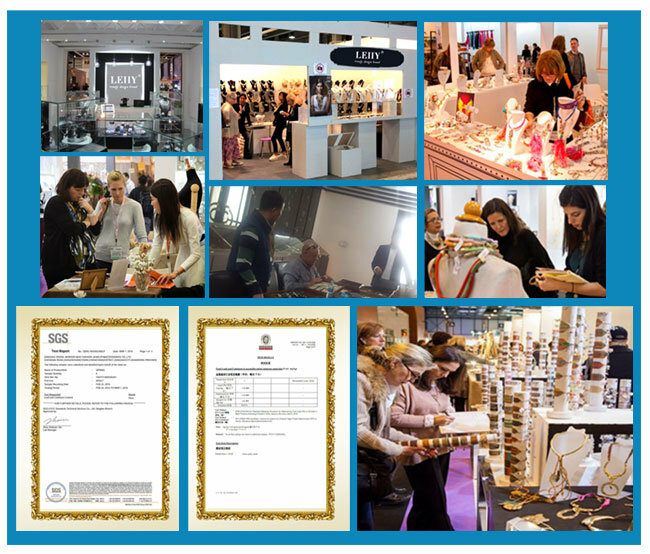 2)Our handcraft stuff Â have passed the certificates of REACH, CP65 ,ISO9001,14001 and 18001 etc . 4) Low MOQ and customized order is available. 5)Our jewelry is fashionable and top quality. 1)Â SendÂ inquireÂ toÂ us,Â weÂ willÂ replyÂ youÂ in 24 hours. 2)Â IfÂ youÂ needÂ samples,Â weÂ canÂ offerÂ youÂ freeÂ samples,Â we pay the shipping fee orÂ youÂ payÂ theÂ shippingÂ fee .It is up to you. 3)On line customer service is during 6:00 AM to 12:00 PM for Beijing time . 3. How to protect your fashion jewelry? 1) Â OftenÂ useÂ cotton to clear you jewelry and keep it clear and bright. 2)ItÂ isÂ recommendedÂ toÂ removeÂ jewelry when you take bathing or engaged in heavy manual work.